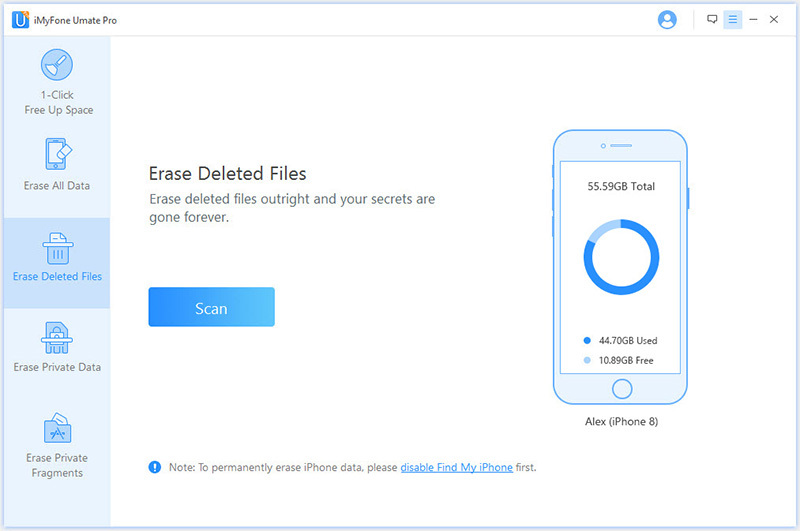 Do you have an Apple iPhone with iOS 12/11 and are looking to delete unwanted saved messages from your telephone operator, advertisement messages, or some texts that you don’t want anyone else to see? If you are looking for ways to delete messages in iPhone 7, then this article is for you. We’ve created a list of useful ways for iOS 12/11 deleting messages to help you out. It was a lot easier to delete saved messages in previous versions of iOS, however, with iOS 12/11, the Edit button which was used for deleting particular messages is gone and is replaced with the Contact button. While you can still delete entire conversations like you used to, with the help of left swipe, how will you delete particular messages? Continue reading to know 3 different ways for iOS delete messages. Option 1 Open any conversation and press and hold any text bubble. A pop-up menu will open with two options- “More and Copy”. 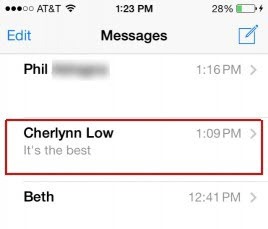 Select “More” and you will see that all the saved messages in the conversation will have little blue circles next to them. The message on which you initially tapped will have a small circle with a small checkmark in it. Simply tap on all the messages that you want to delete and after selecting, tap on the trashcan icon located on the lower left corner of the screen. Delete Message button will slide from the bottom when you will tap the trashcan icon. Tap on the Delete Message and the saved messages will be deleted. Option 2 If you are looking to delete saved messages in iPhone 7 iOS 12/11 to free some space in your iPhone, another method is to go to “Settings”. There you will find “Messages”. Tap on Messages and scroll down to reach Message History. Tap on Message History. Now you can delete the messages that are older than a month or a year. Select your choice, confirm it and the selected messages are gone. Option 3 Another way to delete entire threads of saved messages is to select the Message App. Once opened, look for “Edit button”. Press the button and then select the threads that you want to delete entirely. Remember that this will delete entire thread of conversation between you and the selected person. 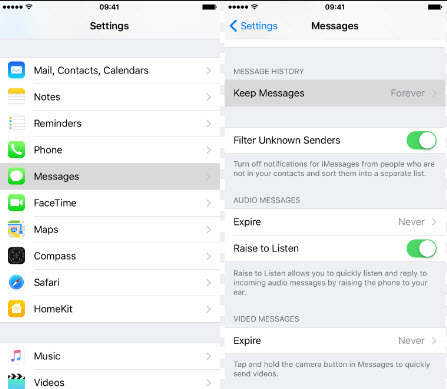 Instead of simply deleting messages on iPhone 7, to make sure that your personal infos in deleted messages should be safe, what you need to do is to erase the saved messages permanently. With so many recovery tools, to recovery deleted messages is so easy now! 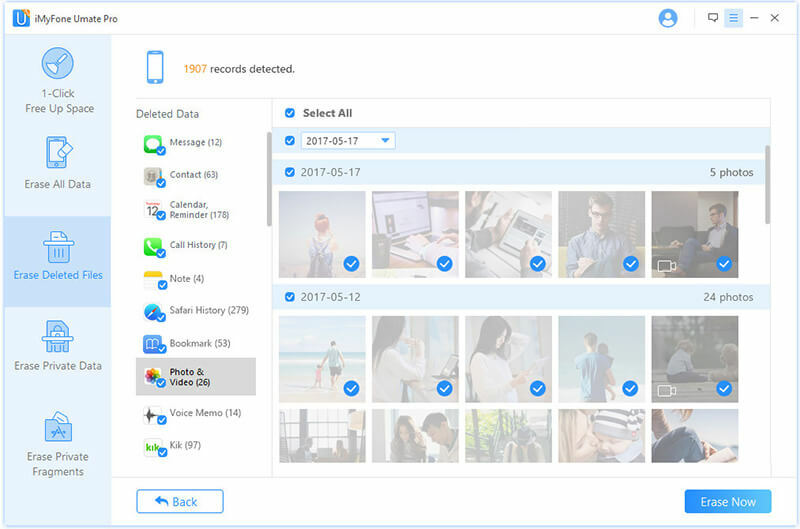 But with the help of iMyFone Umate Pro - professional iOS data eraser, you can erase all your sensitive data with Zero opportunity to restore. How to Permanently Delete iOS 12/11 Saved Messages on Your iPhone/iPad/iPod? 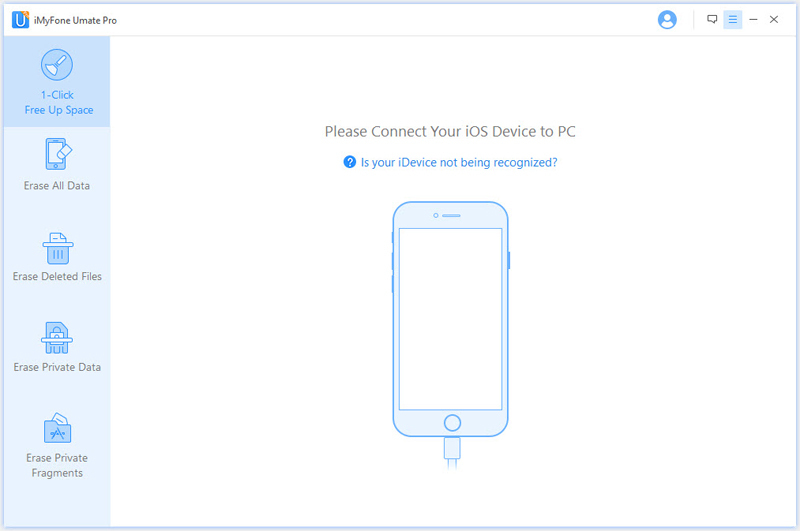 Simply launch the software after connecting your iPhone/iPad/iPod to a computer or a laptop. Erase Private Data - if want to erase permanently some sensitive existing data on your iOS device, choose this mode. Note: For all these 3 modes, the erased data can't be recovered by any software. Scan your iOS device and simply click on the “Erase Now” button and the software will start to erase your messages. 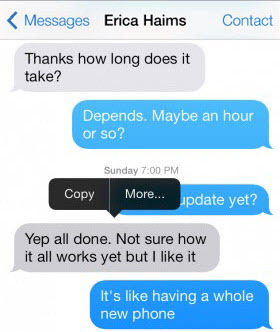 Why We Want to Delete Saved Messages in iPhone iOS 12/11? Just like apps, text messages too need space in your iPhone and rather than allowing them to accumulate them in your inbox, it is better to delete them if they are not important. Moreover, just like the abundance of large apps can affect the performance of your phone, text messages can do that as well. While it is true that it will require loads of messages to affect the performance of your iPhone, slowing down of your messaging app, texting app taking a lot of time to open, app not responding to your typing like it should and inability to quickly send text messages, are common signs which suggest that you should delete iOS messages.